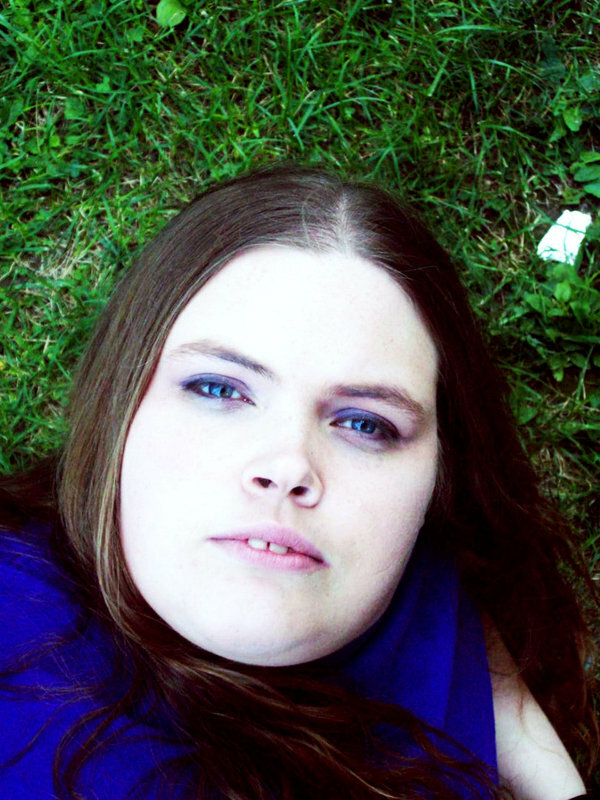 Please welcome Amanda Lyons to my blog for another Friday Q & A session! Eyes Like Blue Fire which is a gothic horror novel about a vampire facing up to her past so that she can move on. It’s more complicated than that but that’s the base of it. There are ghosts, ghouls and vampires in it and all of them play a part in her journey toward a future that is hopefully more positive than her past. Right now it’s being looked over for a possible rewrite. 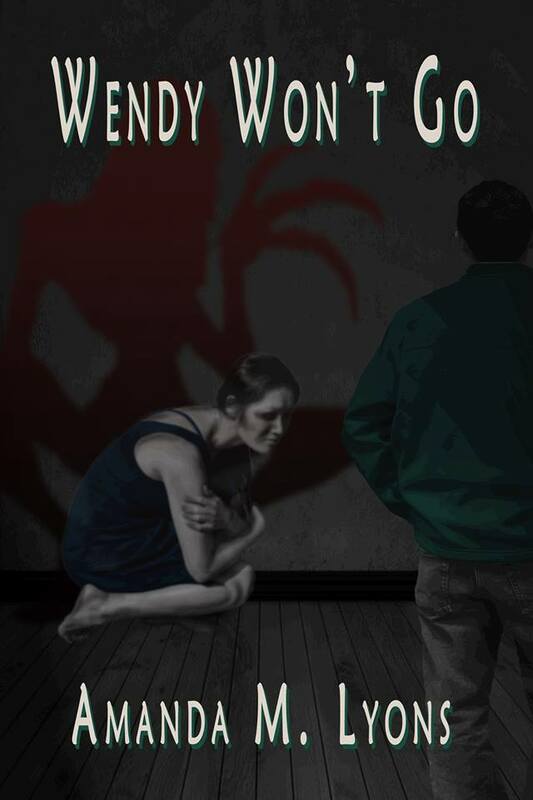 I’m also the author of Wendy Won’t Go a horror novelette about a family being haunted by a terrible apparition that attacks them. It’s a years long haunting and has some serious affects of their lives, there’s also quite a lot going on with it that we don’t figure out until the end. It’s more of a tale of loss and grief than it is about being scared, but I like to think that it can be chilling as well. I’ve had some good reviews that seem to indicate I’ve done well with that. I think I’ll cover Wendy Won’t Go here. Our main character is Billy he’s a middle aged man, a writer struggling to make do for himself and his daughter. He never expected to be a single dad but he’s making it work, his little girl is growing strong and healthy. In fact the only trouble really is the ghost, she attacks the girl the most and Billy is torn by this feeling of guilt because he can’t protect her from it. The haunting works on both of them on some many levels, making their lives not only complicated but limited. He’s this strong and loving dad who has to reconcile himself with the idea there’s no way he can fully protect his child. I’m working on a short horror collection with my brother Robert Lyons II called Apocrypha. There’s quite a few really great stories in it, “Love Like Blood” being one of my favorites from the ones I contributed. It’s about a mother who makes a terrible bargain in order to save the last thing that’s important to her. In many ways it’s a sister to Wendy Won’t Go. Wendy Won’t Go was actually originally intended for the collection, but it ran a little long and I decided to offer it on its own. This will be Robert’s debut as an author and I’m looking forward to what people will think of his work. I tell him he’s a great writer, really visual and visceral but he’s waiting for what readers think before he accepts that sort of compliment. Robert is still working on his stories and I have a couple I might add to it as well. I’m hoping to see it out within the next 6 months. All of those stories you hear about that aren’t quite to be believed. You hear a headline like ‘Woman pushes Garbage Bin of Body Parts Through Neighborhood” or some story of the paranormal on a site or blog about Black Eyed Children or awful ghosts, strange events of some sort all the time. We always dismiss these things or make a point of forgetting them because they’re just too strange to be real. Well, what if they were real? What if something came into your kids’ room at night and you didn’t know it? What if there really was something wrong with your baby? We have worries every day about things that seem silly when we think about them, but what if things went just a little differently and they really could happen? These stories are the what ifs and the secret stories of everyday people. Believe it or not being the chicken who’s afraid of a lot of things. It’s about trying to understand what scares us and why. I always had a very vivid imagination and it fueled all kinds of nightmares and daydreams when I was a kid, a lot of it was really scary stuff and it would overwhelm me. To this day a lot of nightmares end up sticking with me, writing them out is part of what helps get them out of my head. Gary Braunbeck for the human and emotional part of horror, Stephen King for the narrative storyteller’s voice, Clive Barker for the surreal and strange, Joe Lansdale for the dark and so much advice that really helps. I have a ton of writers that inspire me really but these are the ones I can think of at the moment. Also Robert Edward Lyons II who inspires me to work hard at creating something as strong and inventive as his work. He’s also good at catching the things that don’t work. I used to torture him with the awful stuff I wrote in Junior High and I guess he learned to catch my flaws that way. I’ve always had great ideas to work to work with but my ability to really get them across took a long time to develop. I actually studied a lot of writers’ work when I was younger so that I could try and build on my skills. Between reading, doing exercises and writing and then rewriting I learned a lot. I don’t think you ever stop learning ways to make things better. 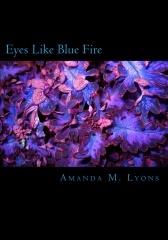 Eyes Like Blue Fire was made with Createspace, it was my first book and I was more invested in getting it out there. Wendy Won’t Go got a great cover from Susan Simone who’s also the executive editor for my publisher J Ellington Ashton Press. She’s very creative and between her and Catt (one of our CEOs) I got a really great sort of retro cover. Definitely! There are tons of really great writers out there that don’t get noticed because their cover either doesn’t match their story or doesn’t catch the attention of their potential readers. It’s probably one of the top five things you should concern yourself with in terms of promotion and quality. Never underestimate the power of self-promotion! Before your book is out go around and see what there is you could be doing to get the word out before it comes out when it’s out and after. Author interviews, promotion pages, guest blogs, your own blog, Goodreads the list goes on whether you’re with a publisher or an indie. You can follow Amanda on any one of these fine places on the internet!